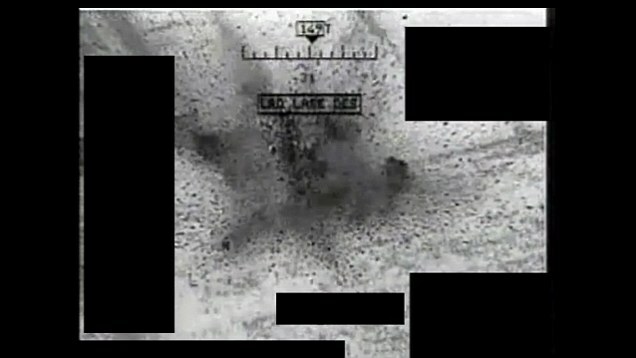 Sitting before a bank of flickering computer screens and controls, the RAF pilot flies a drone in the skies above Afghanistan. 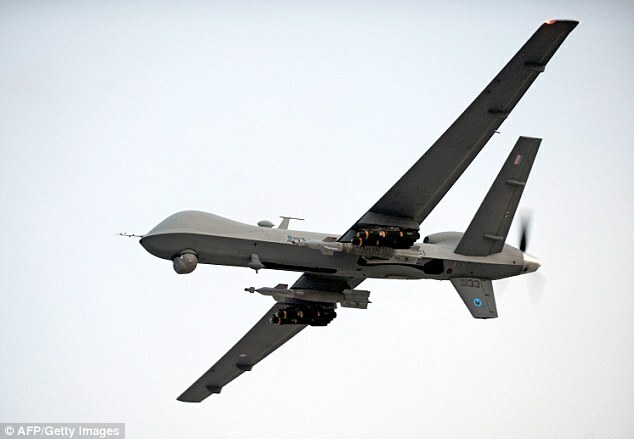 But the airman is not operating the £10million Reaper unmanned aerial vehicle (UAV) from the warzone – or even the US. 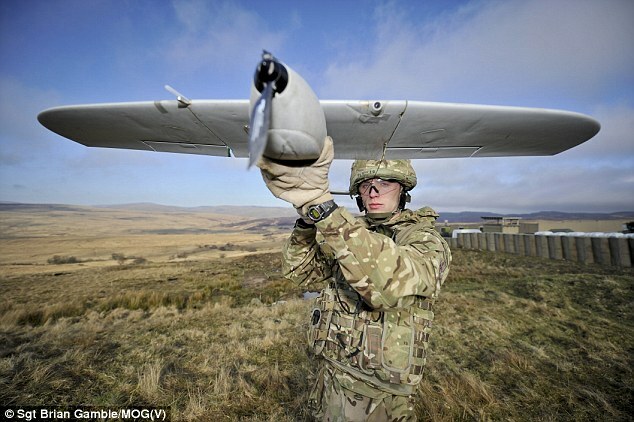 Instead, he is 8,000 miles away in a hi-tech control hub in a remote part of East Anglia – poised to order the controversial robot to carry out airstrikes using its fearsome array of Hellfire missiles and laser-guided bombs. 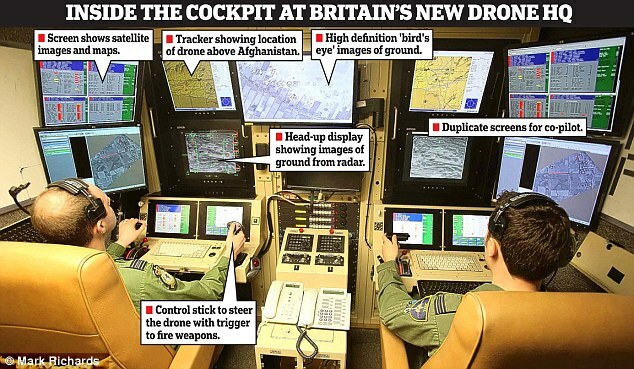 Defence chiefs yesterday gave the Daily Mail a first glimpse inside Britain’s new top secret drone HQ. Experienced ‘pilots’ from XIII Squadron guide Reapers at 50,000ft above Helmand Province via satellite from high-security RAF Waddington, near Lincoln. 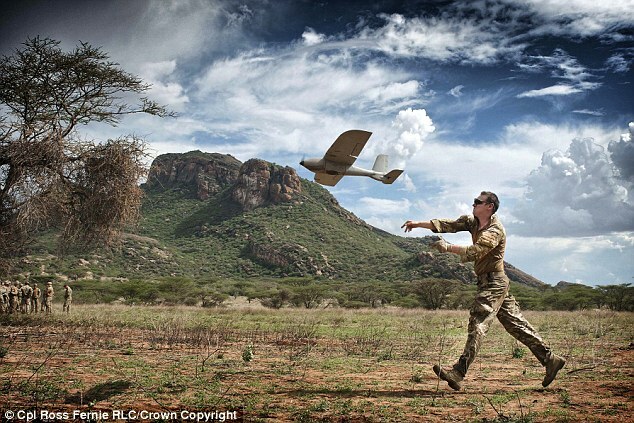 Seated in two ground control stations the size of shipping containers, the airmen steer the drones remotely as they support British troops fighting the Taliban. 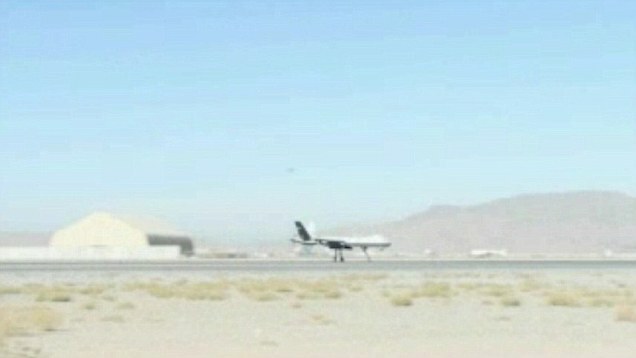 The pilotless craft – about the size of a small executive jet – take off from conventional runways in Kandahar, southern Afghanistan. 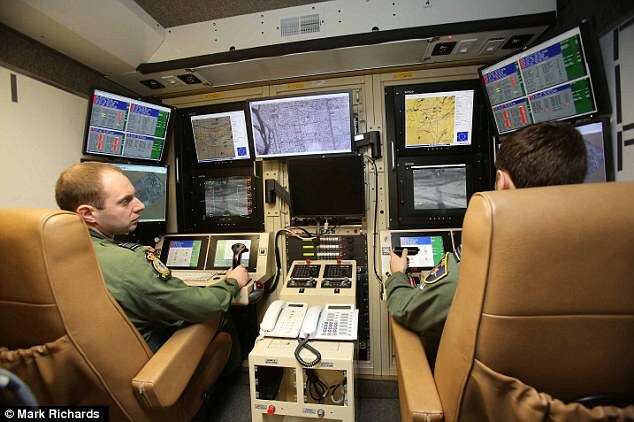 They then fly above the battlefield for up to 14 hours, with cameras beaming live high-definition images and radar data to commanders and crew on the ground. Keeping a silent eye on a huge area, the devices are able to warn of enemy ambushes or IEDs, and locate and monitor targets while airstrikes are planned. Once authorised, they can launch the weapons to destroy them. And it only takes seconds to act against enemies such as terrorist leaders and insurgents planting roadside bombs. 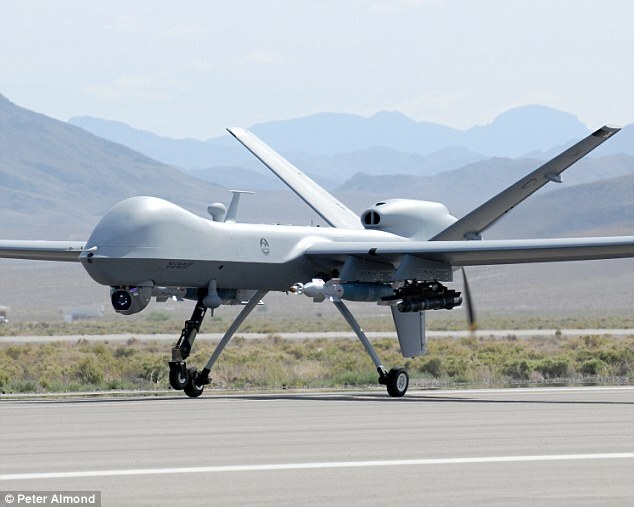 The US has flown countless drone missions in Afghanistan as well as lawless parts of Pakistan and Yemen, killing thousands of Al Qaeda supporters and other extremists. But they have been criticised by human rights campaigners who claim hundreds of innocent civilians have also been killed by mistake. 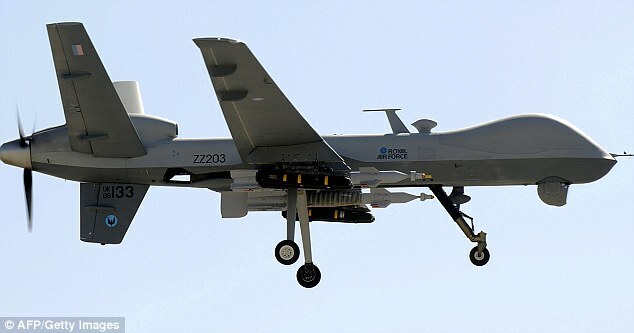 The RAF, which has carried out 459 airstrikes with its five Reapers during nearly 54,000 hours of operations in Afghanistan, accidentally killed four Afghan civilians in March 2011. 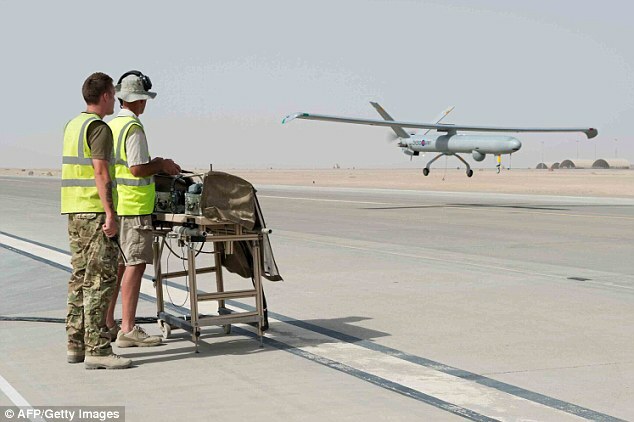 The RAF also operates a sister control centre at Creech Air Force Base near Las Vegas, where 39 Squadron flies the 11-metre drones. 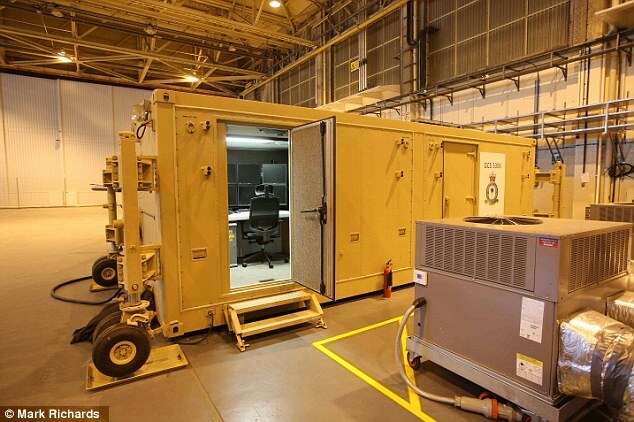 RAF Waddington, which has been operating since April, was opened up by the Ministry of Defence to dispel accusations of secrecy. 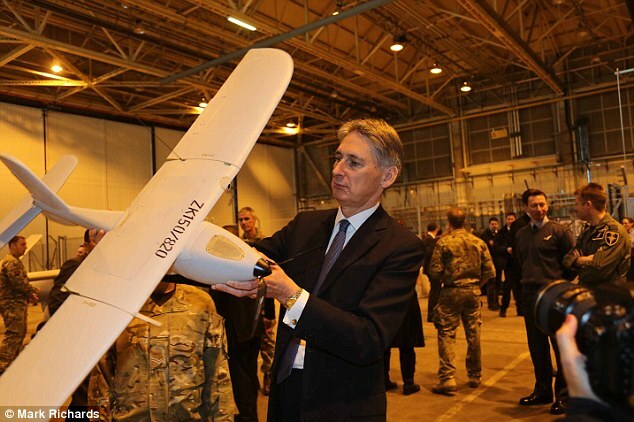 Defending the use of UAVs during a visit to the base, Defence Secretary Philip Hammond said the ‘battle-winning technology’ was ‘vital’ in protecting both troops and civilians. 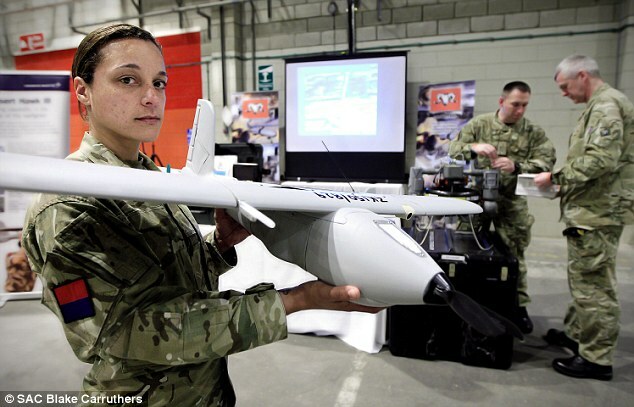 Air Vice-Marshal Philip Osborn, Joint Force Command Capability Director, said the UAVs were an ‘indispensable military capability’. 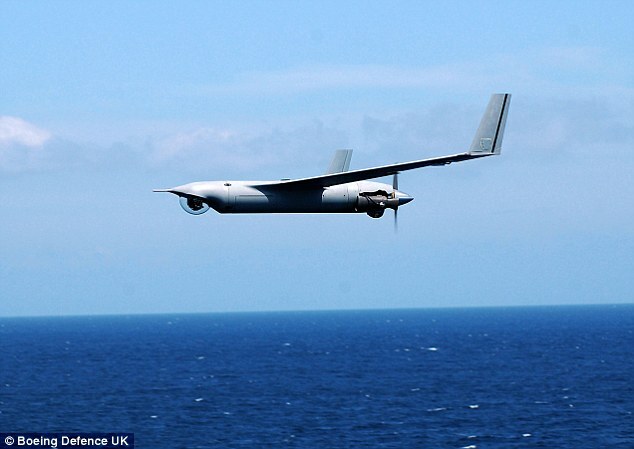 The Royal Navy yesterday flew its first drone, the £15million Scan Eagle, in an operational theatre from the warship RFA Cardigan Bay to hunt for Somali pirates off the coast of Africa.